More than a Hotel: This Local Resort Centre is Here for You, Regina! When the stars align for a night out or a day off, it’s easy to head for familiar territory. But next time you carve out a few hours of “R and R,” remember that there’s a new spot on south Albert Street you’ve got to scope out. Fairfield Inn & Suites Regina by Marriott — located at 3915 Albert Street — isn’t just the destination of choice for visitors to Regina. 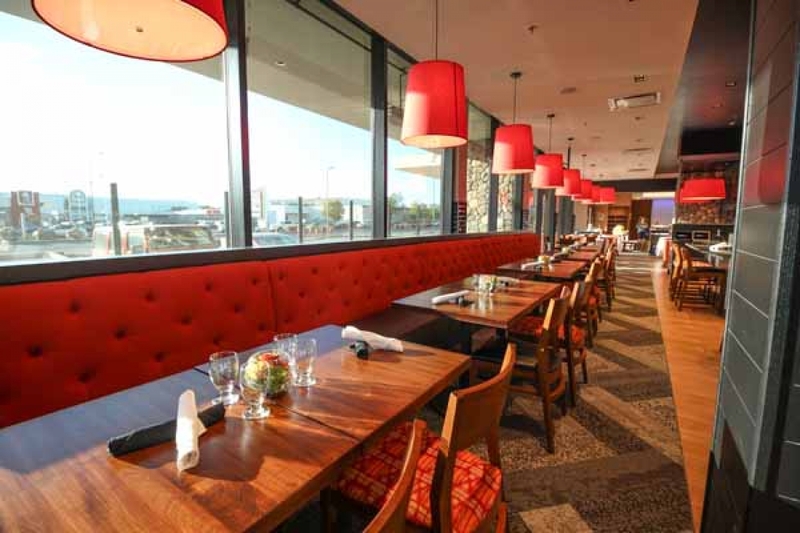 Its appealing atmosphere, unique recreational facilities, and flagship restaurant London Belle make the hotel equally attractive to residents. 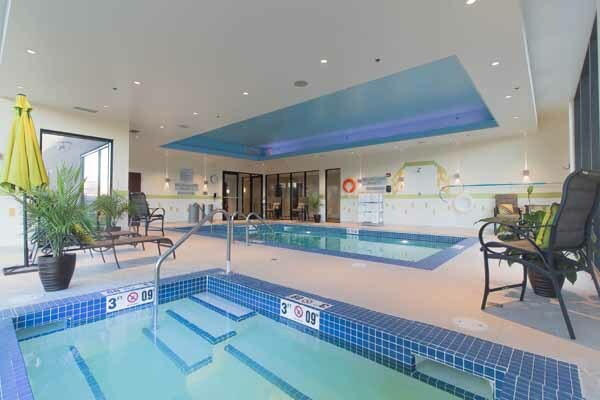 From Friday evening cocktails to Sunday afternoons poolside — not to mention weekend “staycations” — Fairfield Inn & Suites Regina defines itself as a resort centre that locals both enjoy and recommend. A visit to Fairfield Inn & Suites Regina will attest to those local contractors’ superb workmanship. 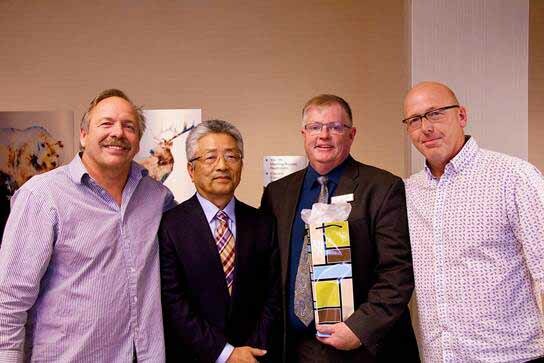 Now that the hotel is open, its locally-based management team (Ian Johnson, Lenna Kozan, and May Lee Roberts) carry on its legacy of Regina-based excellence. “They’re passionate about their jobs,” PR Investments’ Wade Probe says of the trio, estimating that the three might have 80 or more years’ combined industry experience. 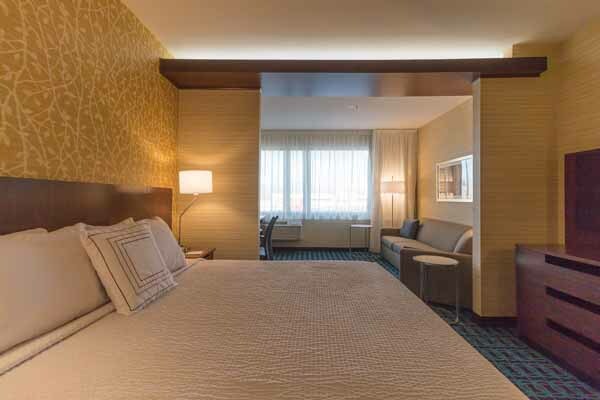 If you haven’t yet visited Fairfield Inn & Suites Regina, you may nonetheless realize that its status as a Marriott hotel (one of Regina’s first Marriott hotels) is telling. “They [Marriott Hotels & Resorts] really treat the traveler with dignity and respect,” enthuses Probe, noting that the Marriott name graces thousands of hotels globally. (The “Fairfield Inn & Suites” division itself has a three-decade pedigree.) The free wi-fi and hearty, free breakfast offered by Fairfield Inn & Suites Regina aren’t unusual touches for Marriott. Neither is the exceptional customer experience, where visitors feel fully appreciated in an environment where service goes above and beyond the norm. However, Fairfield Inn & Suites Regina possesses certain features which are unique — even one-of-a-kind. Take, for instance, the centrepiece of Fairfield Inn & Suites Regina’s recreational facilities: their tempting saltwater pool. “No other hotel in Saskatchewan that we know of has a saltwater pool,” says Metz. “It feels wonderful. Leaving the pool, your skin feels like silk. The pool is complemented by a first-rate fitness centre, equipped with towels, an ionized water dispenser, and Ipad-compatible workout machines. 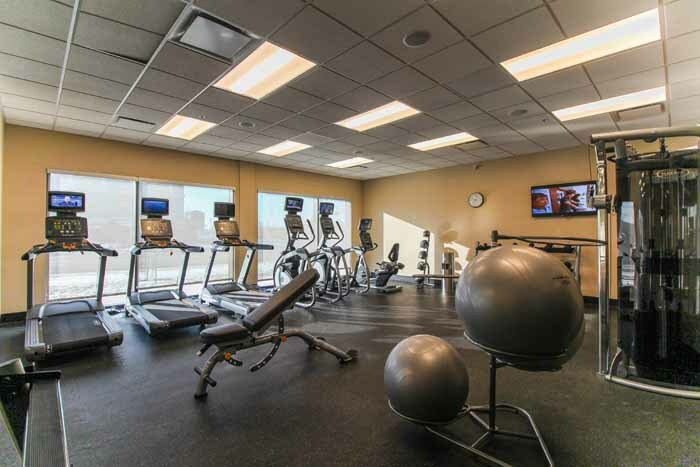 While far-flung visitors to Regina will appreciate the fitness centre’s conveniences, it’s also easy to imagine residents of the city making time for weekly visits. Regina-based professionals should note that Fairfield Inn & Suites also features a large meeting room. This space can accommodate as many as 60 guests; can be partitioned for smaller gatherings; and is equipped with AV equipment suitable for corporate clients’ use. It needn’t be limited to corporate purposes, however. The full-wall windows with which the space is partially surrounded could provide a charming backdrop for personal occasions such as wedding receptions. Fairfield Inn & Suites Regina is also home to one of Regina’s best new restaurants: London Belle, where resident Red Seal Chef Derris Warren deftly alternates British staples (devils on horseback; bangers and mash) with local dishes. (The caramel-drizzled Sour Cherry Cheesecake certainly sounds intriguing.) London Belle’s ever-evolving menu is ideal for catering celebrations and corporate gatherings. However, the laid-back, welcoming atmosphere makes the spot worth visiting in person. Weekend lunches of London Belle’s much-praised fish and chips could quickly become a family tradition. Or parents might prefer stopping by on a Friday night, when the venue hosts live music showcasing local Saskatchewan talent. 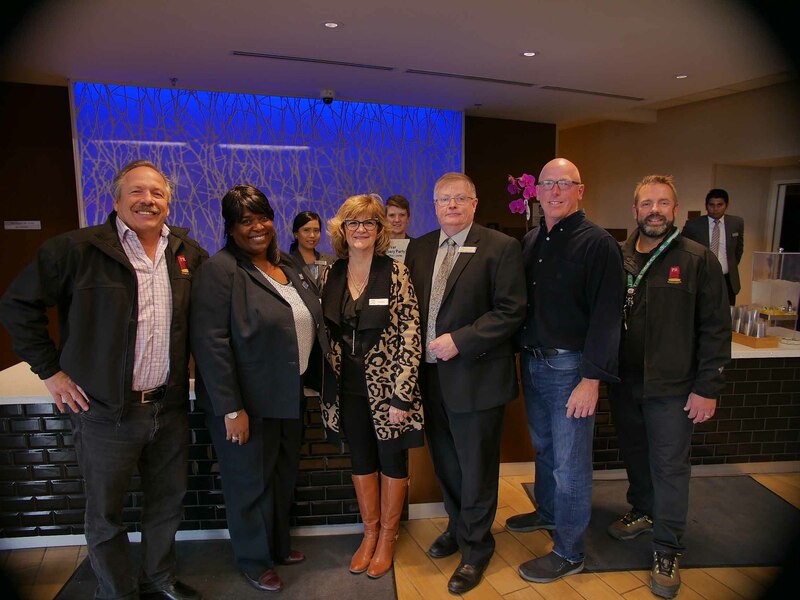 While Fairfield Inn & Suites Regina’s appeal to visitors is immediately obvious, the hotel’s charms may soon make it key to downtown Regina’s local identity. Offering affordable luxury and a multitude of on-site amenities, this spot offers your pick of pure delights — from splashing in the saltwater pool, to kicking back to a local songsmith. Regina locals will appreciate what this brings to the Queen City — a great experience at great value — and Refined is certain they will make the most of it.